Aortic dilatation has become more prevalent in congenital heart disease as a result of reparative surgery prolonging survival. 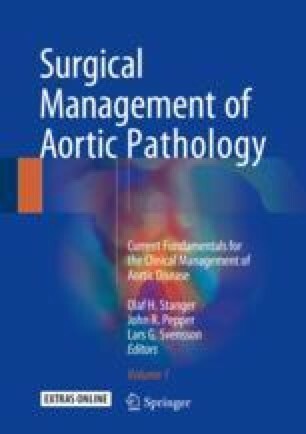 Over the past decades, there has been an increased focus on aortic aneurysm formation associated with connective tissue disorders, such as Marfan syndrome and bicuspid aortic valve (BAV) disease, unravelling many of the underlying pathophysiologic mechanisms. In contrast, our depth of knowledge on congenital aortopathy is lagging behind. This chapter provides an overview of less common congenital heart disease lesions associated with aortic dilatation and discusses current updates on their evaluation and management.